$69.00 of free extras with purchase! Sometimes, simplicity is just what you needed. 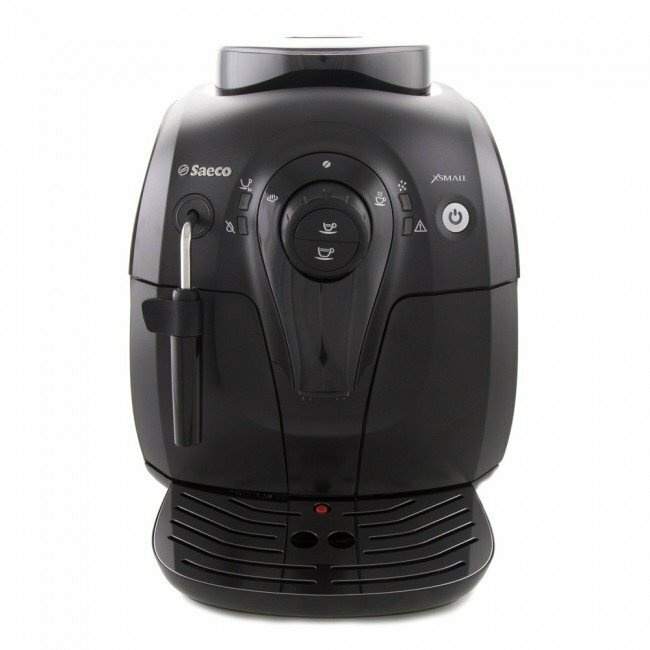 The Saeco Xsmall goes a long way toward simplifying your morning cup of coffee with parsed-back programmability and easy to navigate analog controls. Its all-in-one grinder, brew unit and dosing controls make mornings easy without the hassle of navigating menus or manual brewing. Even milk-based drinks are a dial-turn away with a swing-out panarello steam arm that stretches and textures milk for you. Coupled with a small footprint and an affordable price tag, the Xsmall offers a curated coffee experience for anyone. Removable Brewing Unit - Easy to remove, rinse and replace, which helps keep maintenance simple. Ceramic Burr Grinder - The adjustable grinder preserves aroma without overheating the beans. Energy-saving Mode - The Xsmall enters stand-by mode automatically after one hour. Volumetric Controls - Program you preferred brew volumes with two programmable buttons. Automatic Rinse Cycle - Before it enters and when it returns from stand-by mode, the Xsmall automatically rinses the coffee circuit. Small Footprint - The Xsmall is Saeco's most compact and affordable machine. 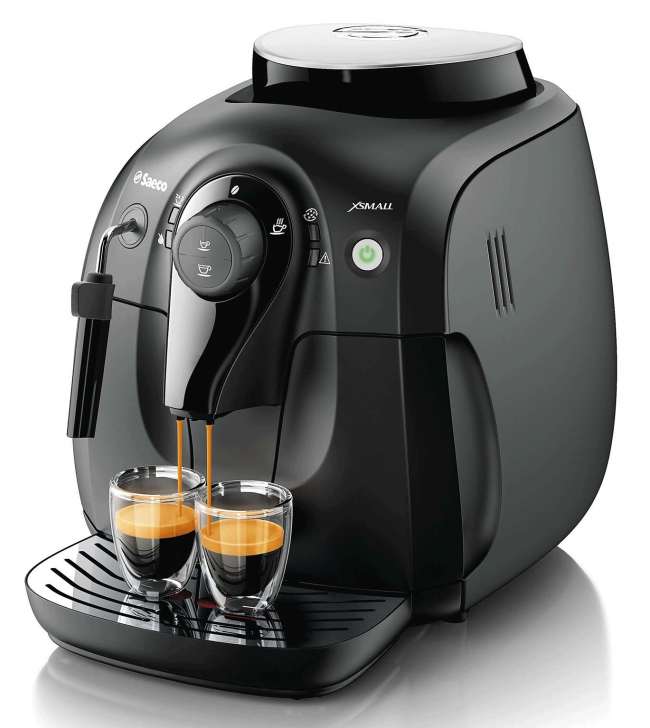 Makes Great Coffee - The Xsmall manages to pack in a good expresso experience without cutting any corners. 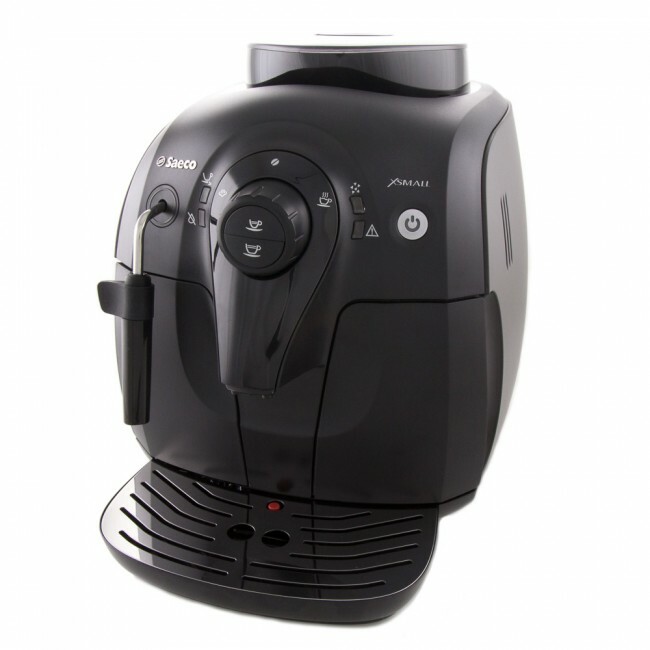 No Bypass Doser - You won't be able to use pre-ground coffee with this machine. No Oily Beans - We don't recommend using oily beans with this built-in grinder. Don't forget! You can brew two shots at a time by taping the brew button twice. Saeco's Xsmall is the smallest superautomatic on the market. Its design is simple and it is easy to use and maintain. 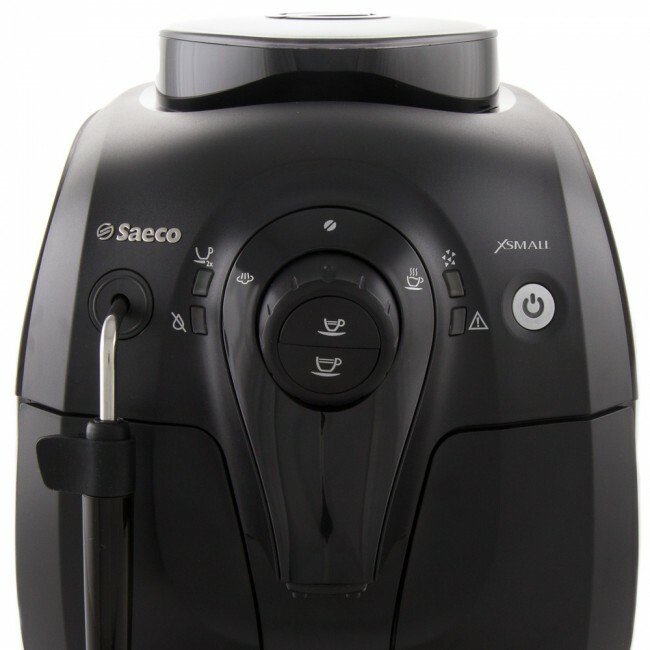 The Saeco Xsmall uses Saeco's optional Intenza water filter. Descale every 2 - 3 months. We recommend using Dezcal. Remove the brew group and spray it down with hot water (no soap!) about once per week. Crew Comparison: Saeco Xsmall vs. Xsmall Vapore + Xsmall Chrome!